Amazon works hard to deliver goods to the consumers quicker all the time. Now it is making the delivery easier to order everyday essentials by launching its press-to-buy Dash buttons in the US. The Dash buttons connect to WiFi and stick to any surface with an adhesive that allowing consumers to make install re-orders with a single press. Then the items will be delivered to them. The items available for the Dash buttons app vary from Huggies to Gillette blades and replacement Tassimo coffee T-Discs. It also offers daily necessaries such as toilet paper and washing powder. This solution is made to extend the Amazon’s previous shopping list scanner device Dash. With this press-to-buy Dash buttons, the consumers can overlook the items they chose or add some more items to a shopping list. After four trail of Amazon first announced Dash, the press-to-buy Dash buttons has been launched and available all US Prime members to shop. This new device is not available in the UK store yet. There is no official announcement to indicate when Amazon brings this device to Europe countries. It is pretty sure that the Amazon could apply this device in more places in the near future. Motorola had released a series of new handsets on Tuesday. It surprised us with the high-end Moto X Style that a handset boasts the accolade of world’s fastest-charging smartphone. It would be completed full charge quicker than other devices we have on the market. The Moto X Style is set by a new Turbo Charge tech to compete quick-charge handsets like Samsung Galaxy S6. What if your handset runs lower battery and you are in a rush to go out? Well, the Moto X Style will add 8 hours of staying power to the handset after 15 minutes insert to the power supply. In terms of getting back full power, Moto X Style works as it suggested. The Moto X Style is compatible with Motorola’s Moto Maker tool, and it can be customized with all manner of framing and casing options such as seven metallic accent options and a trio of metal frames. The back of handsome is made either a colorful silicone rear, or LG G4 echoing leather, or a smooth wood finish. There is a 21-megapixel primary camera feature coming with a stunning 5.7-inch QHD display with a 2560×1440 pixel resolution under the hood. Moto X Style is paired with an octo-core Snapdragon processor, 3GB of RAM and a secondary camera in the front. 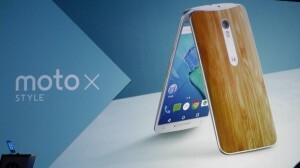 The Moto X Style will come to UK market in September, but there is no exactly date for debut confirmed yet. It did not make the precise price for Moto X Style yet. But the manufacturer suggested this handset should be 200-300 dollars cheaper than iPhone6. Please keep an eye on its upcoming news for more details. There were previously news reported that Selfie stick is banned in Disneyland resorts. You have to be checked by the staff before you go into the theme park. 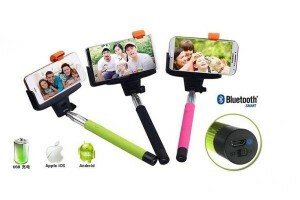 When you prepare for a holiday, a selfie stick should not come into your consideration. You may think that it could help you to take many amazing photos with is aid. As selfie sticks are forbidden to use at many of the world’s biggest tourist resorts and conference places, you can see that it is not much help to take a selfie stick for holiday. Thanks to a survey on a website that you can figure out where you can and cant use this selfie stick. This survey is made by ticketing site Attraction Tix. You can learn from the website catalogues that where you could and could not use the selfie stick. You can not take the selfie stick into those tourist resorts including Disneyland, the Emirates Stadium, the Guggenheim museum and the Hammersmith Apollo as you could find them from the selfie stick no-go list. If you really reply on the selfie stick to take photos, then you can visit the tourist destinations on the London Eye, Alton Towers, and inside the Grand Canyon with the selfie stick. BBC faced another problem with iPlayer after the debate about the license fee raise. According to GlobalWebIndex, there are around 65 million people abroad have access to this service for free by using VPNs. It requires license fee to use iPlayer, however, anyone can watch its non-live content without having one in the UK. This loophole came to an end. Over half of those people watching iPlayer for free are from China, it accounts to 38.5 million. 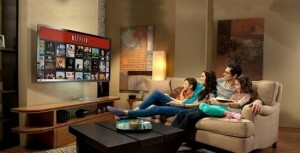 An online research revealed that 75% of 45,000 internet users across 34 countries have paid for Netflix or Hulu. It means that there are potential clients for BBC to explore. It may be a good news to BBC as those people could turn into subscribers. Even though a small proportion of the users would like to buy the service, it could also make additional revenue for the BBC. European Commission made a new proposal”digital single market” to help to loosen restrictions when someone visiting home surf. A global subscription-based iPlayer providing for Europeans, Australians and Canadians ended last month. It is reported that the advertising watchdog have banned two Virgin Media broadband adverts as they misled consumers at prices. The companies should have given the consumers one month’s written notice of any mid-contract price increases as well as the right to cancel the contact for free since January 2014. The other said: “Big Bang – £25 a month for 12 months then £32 a month – includes Netflix for 6 months … FREE set-up online only + Virgin Phone line for £16.99 a month. When the price being raised, there were two customers made complains and Virgin Media replied that the text was misleading. Regarding the response from the company, they told the customers that there should be price raise by using the term “ occasionally” which could make influence on most of the customers. But they are not sure when or by how much the price would increased at the start of their contract either. Virgin Media told the raise in price was advertised about two months before they have the prices increased, and the raise of price only matter to standard prices instead of promotional prices. Virgin Media to has been warned by the Advertising Standards Agency to make its prices “clearly and prominently” on the website from now and that former adverts should be disappear in their current form so that not to mislead customers. 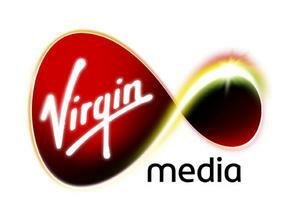 The Agency suggested the Virgin Media should fix the price for the minimum term of the contract or for a certain period of time. There were online piracy cases happened each year. There were even some famous figures involving piracy. The UK government has willingness to increase the penalty of jail time in order to stop people from turning to online piracy. The government hopes to punish those distributing copies by carrying out the new measures. The new measures are not aimed to those downloading the files from online. Peter Ratchliffe said that intellectual property theft is crime no matter online or offline. With the development and popularity of high technology, there are many criminals turning to online crimes in recent decades. So it is fatal that we have strong legal system to protect the copyright online. And it would reflect our motivation towards digital world. The new measures first proposed by some movie and music companies as they would like to make their work to be deserved and respected. They feel two year’s jail penalty is not strong enough to stop people from piracy. There was related news concerning ripping CDs and DVDs for personal use came into illegal in the UK. If you are interested in this topic, you can search more news online. Netflix is hoping to produce more of its own showers and films. According to its CEO, to reach this goal it is required more money from its subscribers. Therefore, it is obviously the company will rise the fee for its subscribers. Prompt from Reed Hastings, to raise more money to produce original content output, investors are definitely to increase the subscription prices for the next 10 years by providing the streaming service. But we dont see its raise for subscription prices for this quarter recently. It costs $7.99 per month in the US for a standard definition Netflix package, a £5.99 per month in the UK. Netflix will also have a difficult situation on password sharing in the future, with this feature, the users can create their own accounts instead of sharing them. It is new plans will be also carried out in other countries. Netflix has 65 million subscribers around the world, and the US subscribers account to 42 million. However, the cost of third-party television shows and movies earns as 4.6 times as it does. The net revenue of third party television shows and movies reaches at $7.7 bn. There have been many fitness trackers launched on the market. And the customers have variety options as their favor.There is a new tracker made by former Apple staff. This new fitness tracker is called Moov Now that wants to coach you into being fit. The new device does not work the same as its rivals such as limited to simply tracking users daily steps counts, calorie burn and distance covered. The fitness tracker works syncing with a specific smartphone app, and it relays live performances either on screen or users headphones to help them to finish the fitness training. This tracker also has a voice-based guidance that tell users when they need to shorten their stride or pace to reach their goals. A third-party heart rate monitors is supported by the device. The tracker is not only used for run-tracking. The users can also use it while swimming, bike riding, boxing bouts and walking. It also tells the users the skill how to reach their goals. The tracker is designed to be dust-proof and water-resistance, so the users can wear them on their wrist or ankle. Battery life could be a problem that users concern. Users don’t have to worry about its battery length. It promises around six months of use per changeable watch battery. If you are interested in this device, you can search for its offering online. Users will be able to download radio programmes to its iPlayer Radio app on BBC iPlayer. If so, the users can have access to the radio programmes anytime if they have downloaded them on its app. They don’t have to follow the live shows if they like. It will be more convenient with its update. It is confirmed by BBC that the users can store the shows for 30 days and streamed them conveniently. In the beginning of this function for downloading radio programmes, there are only TV programmes option provided for the users to download for the trail. There will be update for apps on iOS,Android and Kindle this week and the update will be finished in time on Friday. There will be a Friday’s start of the BBC Proms on BBC Radio 3. The company has worked great job to repair its technology used for the BBC’s online audio content in which making the Radio downloads come true. There are also other changes at broadcaster, including the provisional approval of BBC three moving exclusively online that it may be following the BBC news. You can update your BBC iPlayer this week and witness the amazing experience for downloading radio programmes. Apple Pay it is said to come to UK today. Your banking details will keep safe with Apple tech.We will figure out this news later today. 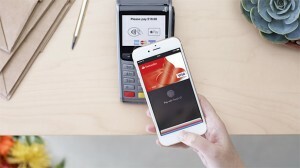 Apple Pay’s banking partner HSBC has confirmed this launch before its official release. So today it is a great day for the customers in UK. The customers will be able to use the Apple Pay on their daily needs currently if the report comes out true. In answering to customers’ questions on the services’s for the launch. HSBC’s Twitter support teach had confirmed the Apple Pay launch plans. But that post on Twitter has been deleted. Previous news that Apple confirmed that its mobile payment system will be launching in UK at some date in July, and it was not given a specific date. But many retailers have speculated its launch date for its plans. There was no confirmation from Apple about its launch date in UK in this week even though there were rumors. The Apple Pay has been applied in the US for about one year, and this device allows iPhone 6 and Apple Watch users to pay bills by tapping their devices against the related terminals. To use the Apply Pay, the users need to entrust their banking details to the iPad maker, then they will be able to use Apple Pay to make in-store purchases up to the price of £20.